Tijms, H.C. (1970). 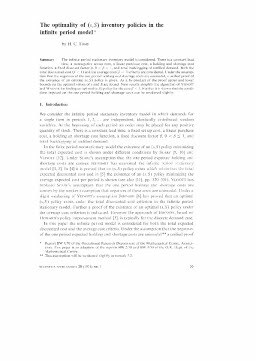 The optimality of (s,S) inventory policies in the infinite period model. Statistica Neerlandica, 25(1), 29–43.